We offer a variety of groups which meet throughout the week.  Trinity offers a friendly environment where everyone is welcome! There is no dress code so dress comfortably! Every service features quality music from our worship ministry and a sermon by lead pastor Tom Messer that will be rich with biblical truth and practical for everyday life! Nursery: Infants-2 years. Preschool: 3-4 years. You can expect a clean and age appropriate place for fun and learning. Our volunteers are background checked and safety is highly valued. The E Theatre provides a multimedia and high-energy environment for group worship and Bible study. Our volunteers are background checked and safety is highly valued. We provide small group environments where caring adult leaders are passionate about connecting and influencing your teen to grown in their relationship with Christ. There is a strong emphasis on applying Biblical principles to every area of your teenager’s life. Your teen has the opportunity to be involved with our Student Leadership program, which is intended to take your teen to a greater level of spiritual growth.